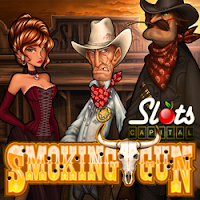 Take a trip to the Old West with Realtime Gaming's new release, the western-themed, Smoking Gun at Slots Capital Casino. The rootin-tootin new game features Expanding Wilds and a Free Spin bonus round. Smoking Gun is a wild west shootout where Bandits, Cowgirls, Outlaws, Sheriff's badges and a whiskey bottle spin on the reels. 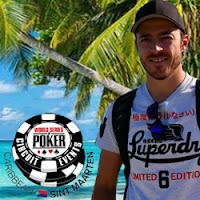 Expanding Wilds increase chances of a winning combination, and a Free Spins bonus round extends play time. During the "Oust the Outlaw" free spins bonus round, you take down one of three varmints from the gang of bandits threatening the frontier town. The new Smoking Gun and hundreds more unique online slots and table games from Rival Gaming are available in Slots Capital's download, instant play and mobile casino games. Until Sunday, Slots Capital is giving you 50 free spins on the new game – no deposit required. A 250% introductory deposit bonus is also available until the end of the month. Available March 26-31, 2019 only. Available to all players that have made a previous deposit in March -- no additional deposit required. 60x rollover, $180 max. cash-out.